Are you looking for a DICOM gateway printing solution to print medical exams, reports and patients’ booklets on paper ? 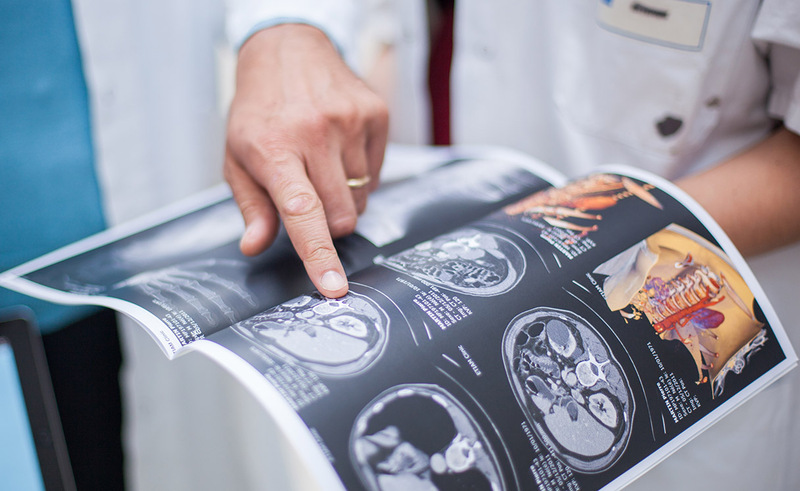 Acetiam offers an adapted, automatic and entirely customizable DICOM printing solution : adding heading, footer, logo or customizing background color and defining printing profils (ICC, contrasts…) has never been so easy. Moreover, it provides automatic printout by preconfiguration of the modality printing profil. ACETIAM PRI change your printer into a DICOM printing system (booklets, medical exams, patient record). It acts like a gateway between your workstation and the printer. Arrange your selection of images from the workstation, and then send them directly to the printer. Compatible with all printer models, this DICOM exams printing gateway make everyday work easier. Change for ACETIAM PRI, the performing printing solution. Image reception for DICOM Print or DICOM Store printout. Possibility to define several printing profils (ex: bones/lung). Booklet mode through customization of 1st and 4th cover pages with patient data and report integration. Exams merge : automatic integration of several exams from one patient in the booklet. Configuration of rendering parameters : gamma, brightness, contrasts, histogram adjustment, contour enhancement, geometric transformation. Advanced corrections : transformation curves enabling to adjust configurations in combination with the image histogram. 1 scale printing (dental, prosthesis). Web Interface to follow-up the printing process with possibility to cancel/launch again a task. Compatibility with all RIS to retrieve the report (HPRIM, HL7, virtual printer). Compatibility with all modalities and DICOM sources. Integrated services : DICOM Store, Query & Retrieve, Print and Worklist. Compatibility with all printer models. GSDF calibration in compliance with IHE recommandations. Share imaging exams with patients and prescribers through a secure exam web diffusion platform. Produce automatically medical imaging CD/DVD depending on modalities.